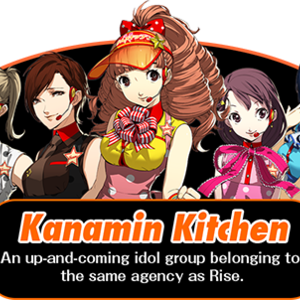 This is a visual novel illustrating thelives of the 5 KanaminKitchen girls from Persona 4 Dancing All Night. Using typical Persona style, here we willdive into just what these girls get up to in their free time and experience thestory as Kanami being the protagonist. Please have an email address and Paypal for contact purposes and paying. Tomoe appears to be a calm and cool person who cares deeply about her fellow members of Kanamin Kitchen, as seen from how she chastises Inoue about overworking Kanami. 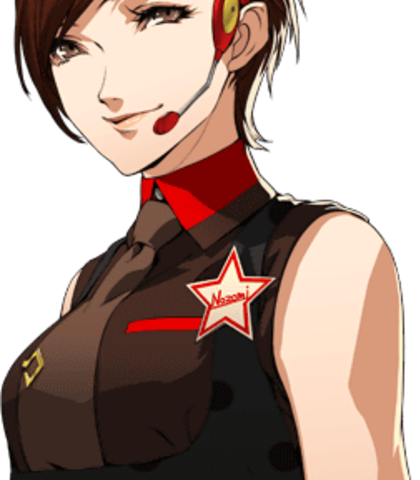 As the leader of the group, she constantly shows a mature personality so as to keep the group in line. Many people, specifically men, view her as very attractive for the sultry and dominant image she portrays, some only choosing to support the group because of her. Tomoe's greatest insecurity is her devotion, as she wants to protect the people she loves, but fears that if she cannot feel any love, she cannot protect them. She is shown in actuality to be very shy and nervous, quickly losing her cool after being thrown into the Midnight Stage over the disappearance of her fellow group mates. It is revealed that she had an embarrassing hobby, which spurred others to mock her in high school when she revealed it to them. Even going as far as avoiding a friend she had who laughed at her hobby. As a result, she came to distance herself from others and strive for a more confident and appealing self. Such a mature response…I like what I’m seeing. Well I have to be direct. LMB is just around the corner. Do you understand that even now we’re behind on rehearsing? 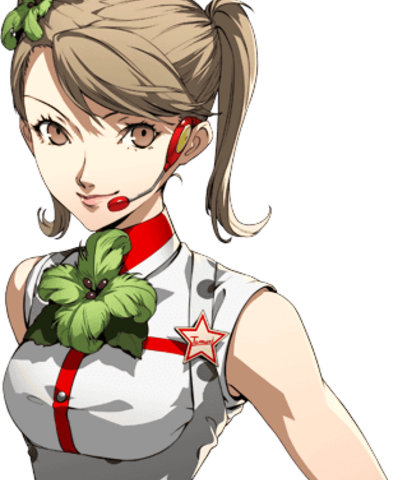 She is shown to be a very carefree and energetic idol, making various catchphrases about food subjects to fit the Kanamin Kitchen theme, although she seems to be self-conscious about her weight. Kanami appears to be friendly and kind toward Rise. Come and join us at L.M.B Festival! We’ll all form a passionate bond with you all! Our meat’s extra yummy so…enjoy every last bite! Whoa! It’s Rise-san! Way too long time no see! Nanako-chan looks soooo cute! 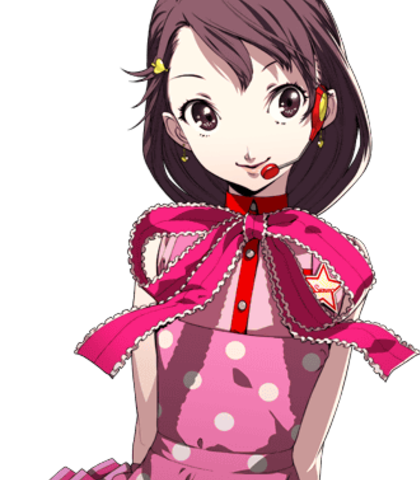 Alright, let’s have fun and start dancing Nanako-chan! Tamami appears to be an energetic and strong-willed person. Yu even goes as far as describing her as aggressive, based on how quickly she is to pick fights and affirm her superiority. She can be somewhat melodramatic and thinks that she is the center of attention and has tons of secret admirers, and as such dislikes cool guys or those that might steal the spotlight from her. It is due to these traits that many see her as the comic relief of Kanamin Kitchen. Tamami's greatest insecurity is her self-consciousness. Though she is hardworking and strives to become the top idol in the industry, she cares very deeply about what others think of her. She is quick to compare herself to others and hates feeling inferior and having others look down on her, viewing her as a joke. 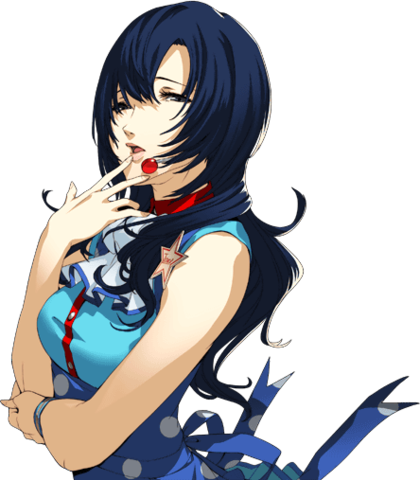 She deeply admires her mother, a famous actress, as well as Kanami, yet secretly worries that she cannot reach their level despite her endless hours of training. Whoa, listen to this guy! Aren’t you a tad too composed? You seem way too cool! I don’t like it one bit! H-Hey! Get back here! You’ll pay for that! Sheesh! Stop running! Nozomi appears to be a polite and friendly person. 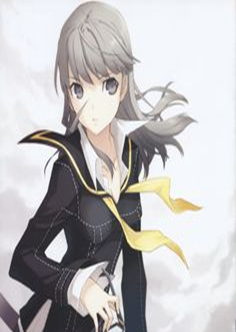 For some reason, however, she's interested in Naoto Shirogane after meeting her. 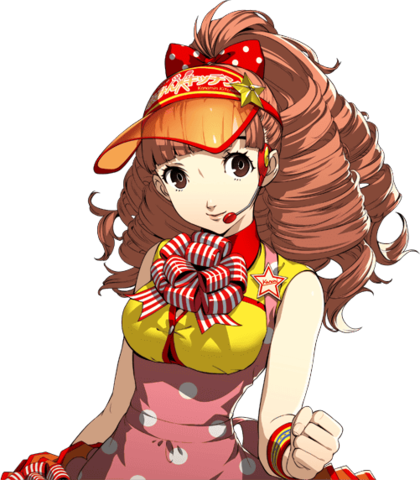 Rise stated that her real self is a pretty shy and docile person and the type who gets all flustered and nervous when she has to talk about herself. To her fans, Nozomi is the confident, uninhibited "Prince Nozomi" who is very self-assured. Nozomi's insecurity is her social anxiety, she is bad at talking to people and she doesn't want to hurt people's feelings if they see her as her true self. Come now everyone. A lady should always be graceful. It’s an honour to make your acquaintance. I hope to make an impression on you. Sumomo is an innocent and cheerful person. She appears to like cute things and often speaks in the third person. However, her personality was just an act in order to stay in character. Her true personality is a bit average and country and she often gives people nicknames. Her insecurity is being seen as young and helpless. She dislikes that people see her as an innocent doll, as she only wants people to see her as herself. That’s a big no-no Rise-senpai! You’re in trouble! Hehehehehehe.